Stay tuned in with our Straight Up newsletter and blog to make sure you don’t miss a single mellow moment, starting all the way back in 1888 when our brand was born, to now! 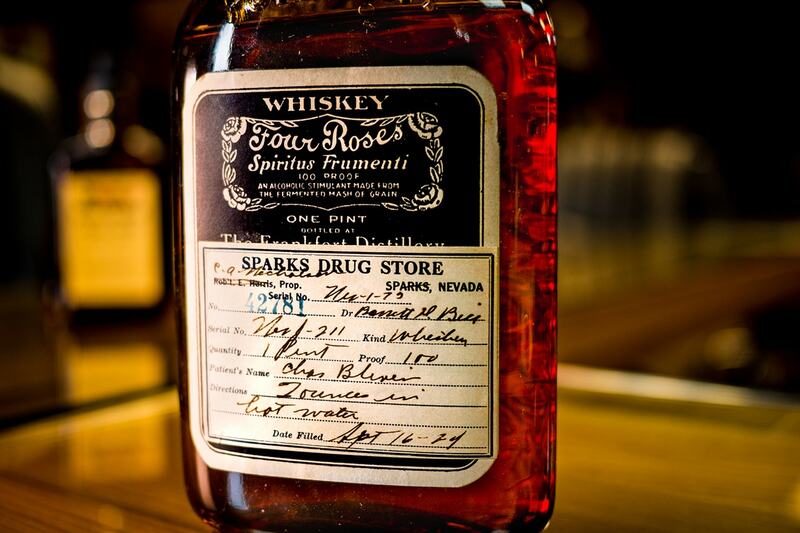 We are excited to share stories and relics from our past that have mingled together in harmony to form what Four Roses is today. 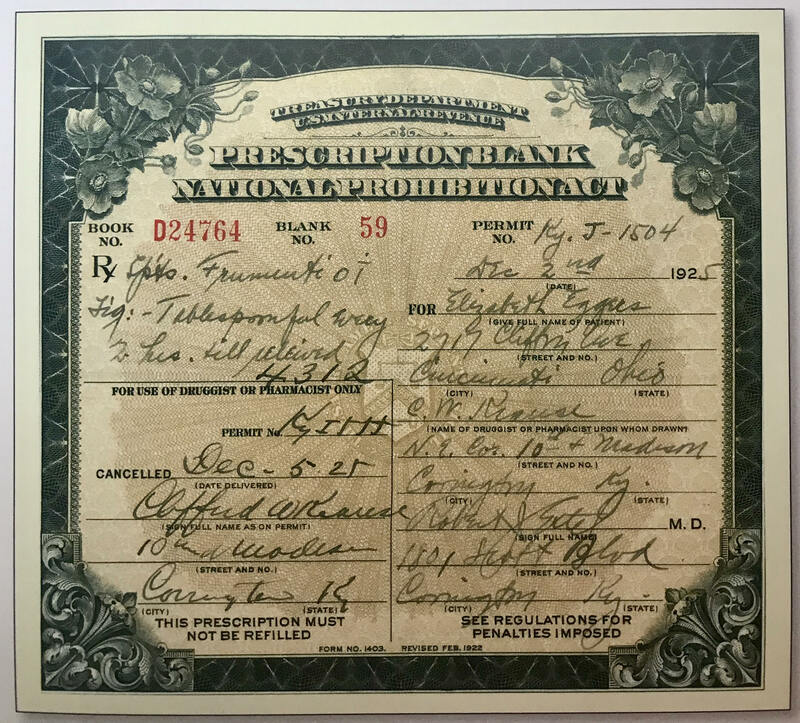 During the Prohibition, the only way to get Four Roses was through “Medicinal Purposes Only.” It went something like this: doctors obtained special prescription pads and would issue them to patients in need, for a fee. The patients would then take their prescription to a druggist who would fill it, for another fee. The whiskey used to fill the prescriptions often came from consolidation warehouses, which were where most producers were forced to sell their aged whiskies in order to make what little profit they could during this time. Meanwhile, the Paul Jones Company, under the leadership of Jones and Heinemann, acquired the Frankfort Distilling Company and combined the two to form the Frankfort Distilling Corporation in 1922. The Frankfort Distillery was located four miles east of Frankfort, Kentucky, on the Georgetown Pike. 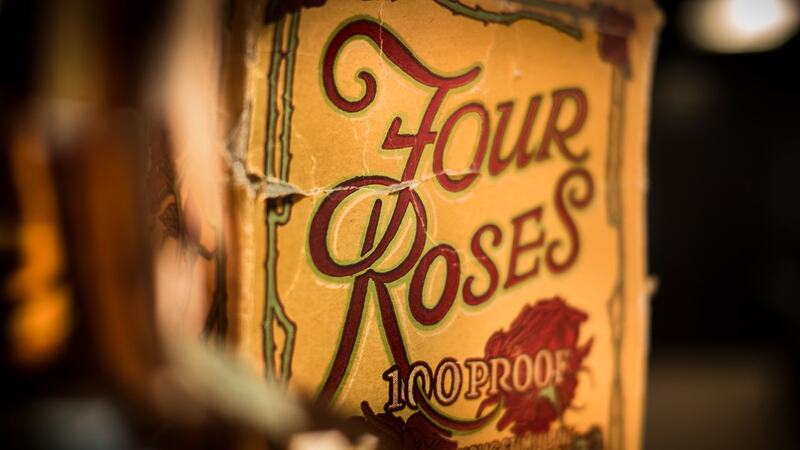 Innovative forms of packaging for retail sale had always been a trademark of Four Roses, which continued throughout Prohibition. After combining with the Frankfort Distillery, the company patented a fiberboard box with a tamper-proof seal to make sure that the contents were as advertised when it left the bottling facility. 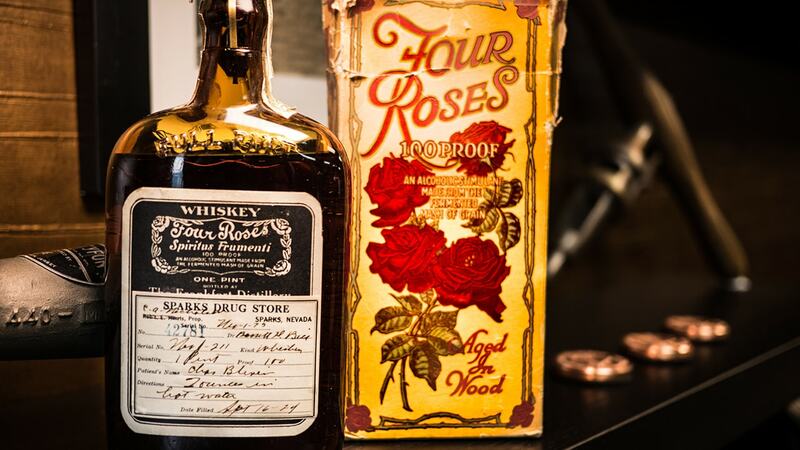 A bottle and its original cardboard container from this time period are on display at the Four Roses Distillery Visitor Center. Labeling indicates that the 100-proof liquid inside was made from the fermented mash of grain and aged in wood, and the Bottled in Bond strip stamp indicates where and when it was prepared and bottled. The Sparks Drug Store label states similar information, among other things, like directions for use and the date the prescription was filled. The Frankfort Distillery unfortunately encountered three large fires throughout 1923-1933, causing whiskey to burn up and production to halt. At the end of Prohibition, whiskey again came into its own and the company adopted the name Frankfort Distilleries, Incorporated.